Выбор и правда специфический в отношении некоторых песен, но мне понравилось, как про каждую написано. Много интересного. Что-то когда-то давно читалось, но уже забылось. И приятно было что-то вспомнить, а что-то и новое узнать. А я щитаю, что дело не в снобистском подходе, а просто чтобы показаться оригинальными, для привлечения внимания. Ну что было б, если б перечислили уже в который раз всю самую громкую ПШБ-классику: Эст Энд гёрлз, Син, Олвэйз он май майнд и пр. - кому это было бы интересно? А так - "Ого, нифига себе, Джелоси, да ещё экстендед-версия! Ух ты, Интеграл, вот это да!! А Харт-то шо тут делает, да ещё и диско-микс???". Прощитанный журналюгский ход. Что в общем-то неплохо. Есть у кого-нибудь желание сделать этому нормальный перевод? Deep inside a sweltering, warren-like rehearsal space somewhere in southeast London, Britain’s most successful pop duo (50 million records sold worldwide) are on mischievous form. Pet Shop Boys, aka Neil Tennant and Chris Lowe (they’re always listed in that order, like Ant and Dec, and Gilbert and George) are both shaven headed, clad all in black and melting in the heat. So how are they, apart from hot? “Old,” says Lowe (he’s 57). “You’re not old!” says Tennant. “Neil said the other day he’s now a young old person.” (Tennant is 63). “Yeah, I think I am,” says Tennant. “Whereas I’m still an old young person,” says Lowe. So Tennant can’t behave like that any more? Serious? 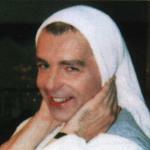 Not wholly, but Tennant, the singer, is certainly the more grown-up half of the partnership, marshalling a conversation that skips merrily from the delights of the Norwegian city of Bergen to the perils of playing the Vienna State Opera (“we had a major row about the lasers”), to Tennant editing the Dairy Book of Home Management in his pre-music days, to why West End Girls, their breakthrough single of 1984, sounded like hip-hop (“Grandmaster Flash with an English accent”). As entertaining as free associating with the Pet Shop Boys is, we are here, as they playfully remind me, to talk about Catalogue, their project to reissue all their albums, which is kicking off with Nightlife (1999), Release (2002) and Fundamental (2006). One reviewer said that Integral, a song on Fundamental about ID cards (how quaint) was the first time he had heard Tennant sounding angry. “Yeah, well I was probably angry about quite a lot of things,” he says. Another song on that album, I’m With Stupid, was about Tony Blair’s closeness to George W Bush, while the album was dedicated to two gay teenagers who were hanged in Iran in 2005. The pair have expressed their contempt for nostalgia, but their records are like shiny time capsules, both thematically and musically. “Sometimes we just copy the style of contemporary pop records to see how they work,” Tennant says; over the years they have upholstered their electronic sound with hip-hop, disco, house and even indie guitars. Surely there must be an element of nostalgia with these reissues. Which of their albums are their favourites? Tennant giggles. “I remember talking to Liza Minnelli about promotion and she said that she could turn any question into an answer about her new album. ‘It must have been very tough growing up with your mother . . . ’ — ‘Oh I think mum would have loved this new album. She loved to dance!’ ” More laughter. Told you they were on mischievous form. The duo are rehearsing for a summer of festival dates, including Brighton Pride and Bestival. The latter, a famous haven for fancy dress, will be a rare occasion when Tennant and Lowe, who have previously donned pointy cone hats, glitter-balls and cardinal robes on stage, won’t be the most bizarrely dressed people in attendance. The last time they played Bestival, in 2006, they flew afterwards to Finland to play another festival, where the headliner was David Bowie, whose Hallo Spaceboy they had recently remixed. When the laughter has died away, they try shamelessly to turn the conversation back to the reissues. “You should see the work Neil’s done on these booklets,” Lowe says, referring to the liner notes that accompany the albums, which Tennant oversaw. “It was like doing the Dairy Book of Home Management,” Tennant says. “Wiring a plug,” says Lowe. “Can you imagine the deaths!” says Lowe. A few years after that, in 1981, Tennant met Lowe in an electronics shop on the Kings Road in southwest London. They bonded over dance music and “being two northerners in London”, Tennant says. He is from Newcastle, Lowe is from Blackpool. Both retain their accents; Tennant has a house in Durham and Lowe still spends lots of time in Blackpool. They talk mistily about the early days of the band, where money from the label was plentiful, even for an unknown duo without a hit. “The first track we ever did on Parlophone was Opportunities (Let’s Make Lots of Money) in 1985 and we worked in, I think, four studios,” Tennant says. “And it was a flop!” says Lowe. “I probably imagined I’d be back at Smash Hits within nine months,” says Tennant. Lowe’s childhood could hardly be more different. “Blackpool’s an unusual place to grow up,” he says. “Amusement arcades, nightclubs, holidaymakers, the Pleasure Beach — that’s your normal.” Showbiz runs in the family: his mother was a dancer and his grandfather, Syd Flood, was in the Nitwits, the music-comedy act that had a residency in Las Vegas in the Sixties. Удивляет обилие подробностей, и всё по делу. Видимо, писал или профи или поклонник. Да и среди комментаторов есть те, кто в теме. Да и перечислив страны, где сингл стал # 2, он не упомянул Францию и Австрию, а веть это важно - Гоу Уэст стал единственным синглом ПШБ, который попал в топ-10 Франции. Ну это я так, просто мимоходом "занудствую" ) Про чарты в данном случае - это второстепенно, а сама статейка хорошая, грамотная.